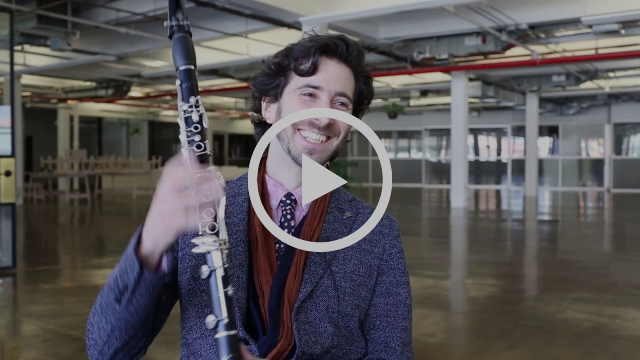 New York City, NY — Internationally recognized clarinetist, composer, bandleader, and educator Oran Etkin has a busy Fall ahead of him. The world-renowned jazz and world artist, whose music has appeared on a Grammy winning compilation and been praised in the New York Times, Downbeat Magazine, the Christian Science Monitor, Public Radio International, US Weekly and more, is taking on the Fall season with a series of prominent performances and with the opening of the first brick and mortar home for his popular Timbalooloo music education program. 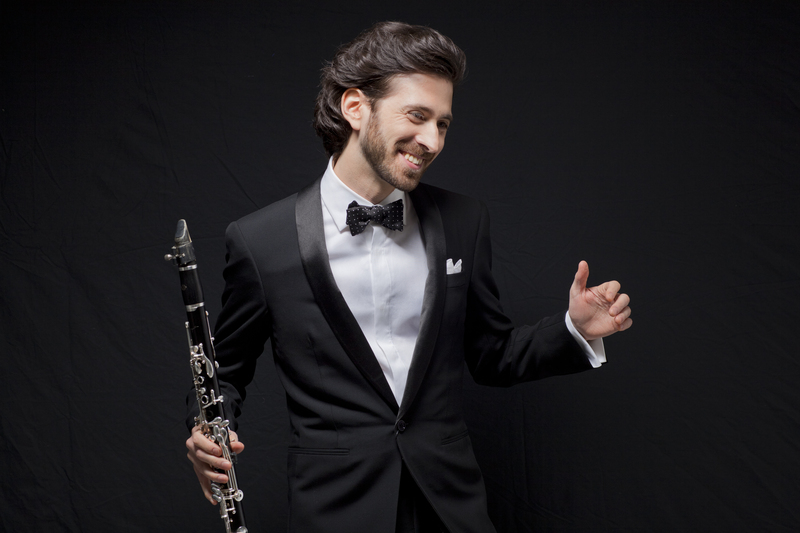 Since Kelenia, his first release on Motema Records in 2009, Etkin has established himself as one of the top clarinetists and composers of his generation. 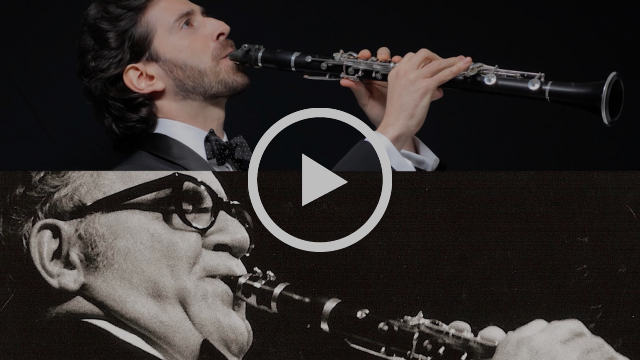 His numerous critically acclaimed releases for Motema include 2014’s world-music infused Gathering Light, and 2015’s celebrated What’s New: Reimaging Benny Goodman, both of which will be featured at Jazz at Lincoln Center this month. Simultaneously, Etkin has been developing Timbalooloo, a groundbreaking new method to teach children music during the earliest years, when they’re able to become fluent in language so intuitively. In an exciting major move, Timbalooloo will now be expanding its presence with a new permanent space in the vibrant Soho neighborhood in New York City! The venue will have a soft opening with a limited schedule of classes starting in October which will be followed by an official launch in January 2018. In October, Etkin will be drawing on all the aforementioned projects for a jam-packed schedule of events; the apex being two back-to-back nights at Dizzy’s Club Coca-Cola at Jazz at Lincoln Center. On October 24th Etkin will present his critically acclaimed What’s New? Reimagining Benny Goodmanwith vibraphonist Steve Nelson, pianist Helen Sung and drummer Matt Wilson. The concert will feature Etkin’s music inspired by Goodman’s famous 1930s quartet, but with a new surprise in store: a tip of the hat to the classical side of Goodman, with a special performance of one of Bela Bartók’s Contrasts, which was originally commissioned and performed by Goodman together with Bartok and Joseph Szigeti in 1938. On October 25th, Etkin will return with his Gathering Light project inspired by Etkin’s tours in Indonesia, China and Japan. 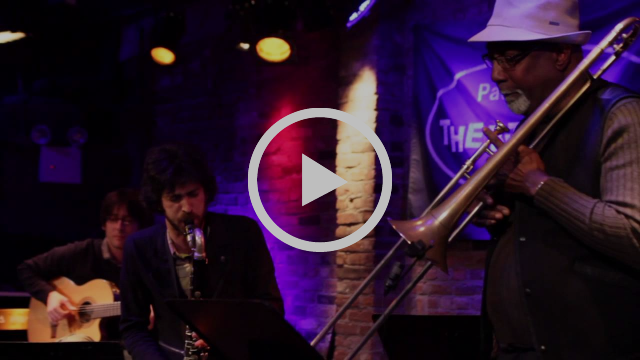 The evening will feature guitarist Gilad Hekselman, bassist Ben Allison and drummer Nasheet Waits. A series of Timbalooloo programming kicks off October 1 in France at the Nimes Metropole Jazz Fest. 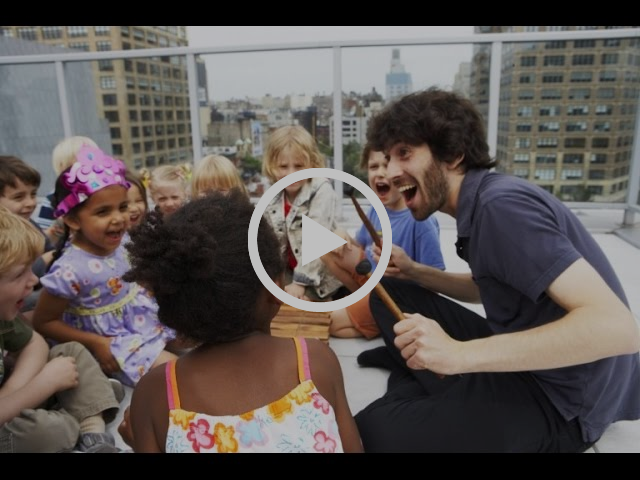 Etkin will bring the children back home a taste of France on October 7th at National Sawdust in Brooklyn with the inaugural concert of National Sawdust’s 2017-2018 season of Monthly Timbalooloo Duo Concerts – this first concert featuring French washboard wizard Stéphane Seva. Timbalooloo will then move to Manhattan to take part in the Madison Square Park Annual Fall Kids Fest on October 14th. Etkin will end the month back in Europe on October 29th for the Enjoy Jazz Fest in Ludwigshafen, Germany. Etkin will continue his National Sawdust Duo Series on November 4th and December 9 and on December 25th he will host the annual Christmas-day concert at the Jewish Museum with his long-time West African musical collaborators, foreshadowing an African tour in 2018. Founded in 2005 by Etkin, Timbalooloo has reached over 10,000 children worldwide. In the Timbalooloo Method, instruments come to life and speak through their music so that children learn to express themselves not by having to execute the correct notes, but rather by making their instruments “come alive” and actually “speak the language of music”. Through fun games, stories, songs and movements, children engage with a diverse cultural heritage ranging from Tito Puente to Mozart, Willie Nelson to Herbie Hancock. The benefits reach far beyond music, developing skills in math, history, cultural appreciation, empathy, speech, and fine and gross motor skills. In addition, children learn what is arguably the most important skill in life — to really listen to what is happening in the moment, and then find a way to add their own beauty. Etkin hand selected and trained a small handful of teaching artists who now teach his method in schools and home-classes throughout New York. Meanwhile Etkin has released his original Timbalooloo music on albums including his 2010 Motema release Wake Up, Clarinet and Grammy winning compilation All About Bullies Big And Small. He also tours worldwide, presenting his Timbalooloo program alongside his shows for adults at major festivals in Europe, Asia, Africa and North America. Timbalooloo is one of the rare instances where distinguished jazz luminaries and A-list celebrities find common ground. Not only has it garnered the attention of Herbie Hancock (who was so impressed with the program that he invited Etkin to present it at International Jazz Day in Paris and recorded a special video for the Timbalooloo kids), but also that of Naomi Watts, Edie Falco, Ken Burns and other A-listers who have made Timbalooloo their music program of choice for their children. “His ability to teach children about interesting music (rather than the litany of obvious choices) and keep them fully engaged and willing to learn was really really remarkable. He has touched both of our boys lives,” says Watts and Liev Schreiber. Even Martha Stewart loves Timbalooloo, which is evidenced in this article in US Weekly. More information is available at www.oranetkin.com and www.timbalooloo.com. 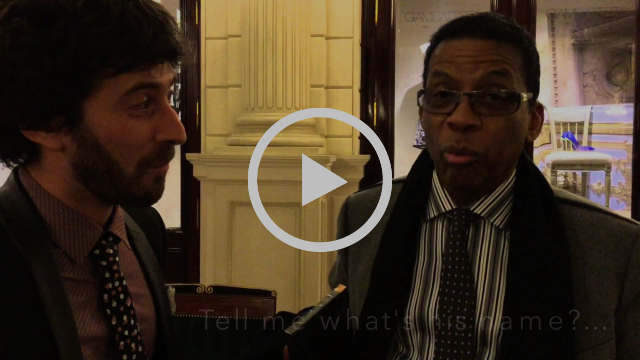 Herbie Hancock’s Message to Timbalooloo Kids!